An octogenarian who believes "church property should be taken away" stole 3,000 of religious objects including old Russian icons, candles, statues, rosary beads, and “toilets full of crucifixes” from churches around Paris, according to police. The unnamed elder and his recently baptized 60-something female ‘accomplice’ were arrested after police found artifacts in their homes based on a tip-off from a cleric. 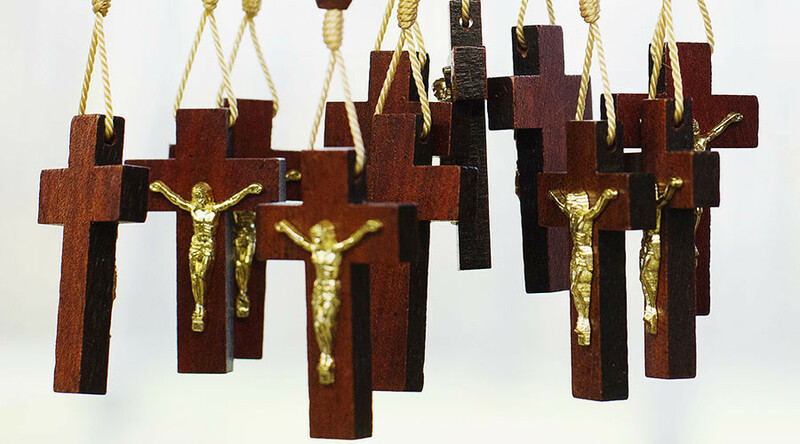 "At the home of the octogenarian, the toilets were absolutely full of crucifixes. There wasn't so much as a square centimeter of space," priest Ludovic Serre said. Serre had noticed a number of items going missing from his church in Chaville. After the crib was taken from the Nativity display at Christmas, Serre filed a complaint. Police estimate the thieves took about $11,000-worth of religious items from various churches in Paris. Serre noticed the thieves were arriving to steal every four or five months on Sunday afternoons. He told the police this and sure enough, they turned up on the estimated date. The man and woman are neighbors from the southern suburb of Bagneux. They have been released until they face trial. The police thought the ‘little thieves’ would be young, said the priest, but it turned out to be “a revolutionary who believes that church property should be taken away".